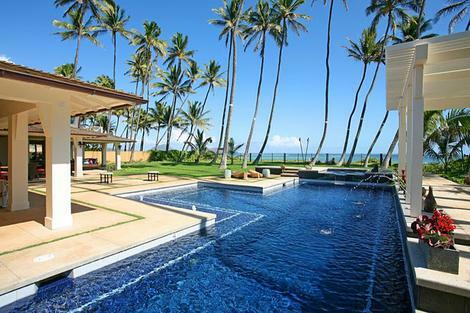 This sprawling mansion is almost as breathtaking as the stunning Kahala beach that the home sits on. Enjoy staying at the very best in this 10,000 sq. 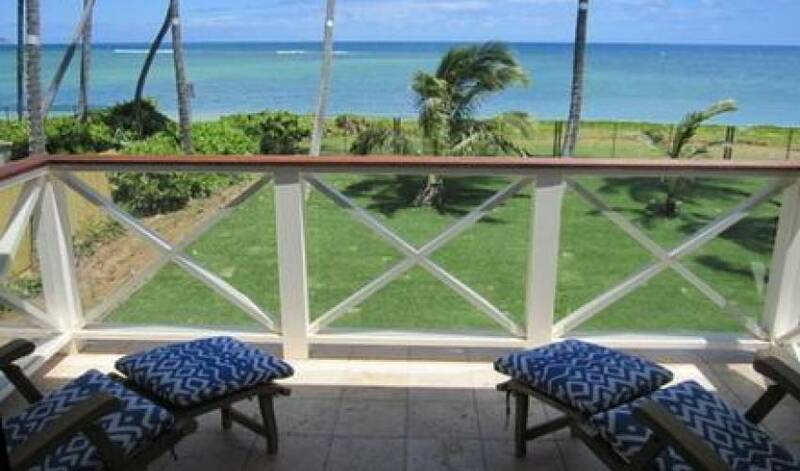 ft. Oahu beach rental. 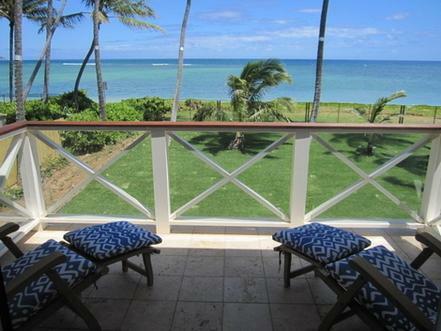 Picturesque sunsets, moonlit walks along the beach, and picnics in the warm Hawaiian breeze are all only footsteps from the back door of this luxury rental home. The home sleeps up to 17 people with 7 bedrooms and 8 baths total, but even the largest parties will find they have ample room to spread out and relax. Mature palms on a huge grassy lawn separate the ocean from the heated outdoor pool and Jacuzzi in the grand outdoor entertaining space. The indoors features top of the line finishes and fixtures, sure to please even the most discerning guests. 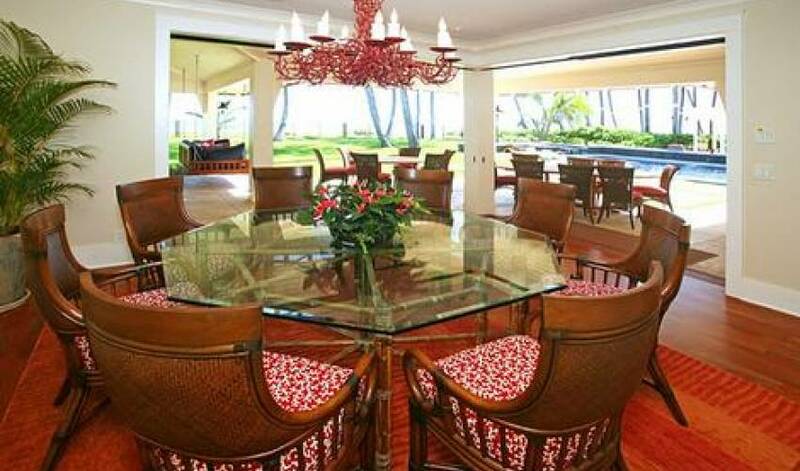 There isn’t anything else you could ask for in this Oahu luxury vacation rental. This gated luxury vacation home features 10,000 square feet of space where there is plenty of room to hang out and entertain. The home itself just completed construction in August 2011 and is split into the main house and the ohana, where one of the bedroom is located. The covered wrap-around lanai serves as the spine of this massive home where guests can lounge in the shade but still feel the tropical breeze. A large living room in the main house has lots of seating for reminiscing about the day’s adventures, playing games, or just relaxing with some TV. A convenient bar sits between the living room and kitchen, a place for mixing up icy tropical cocktails and blended drinks. The fully stocked, high-end designer kitchen provides ample preparation space with expansive counters and huge refrigerator. Once the meal is done, you can choose between eating in the formal dining room or in the less formal outdoor entertainment space. Hammocks, lounge furniture, a swing chair and game table add to the functionality of the outside space, while the natural beauty of the coast provides the perfect backdrop. Take a dip in the pool (wait an hour after eating!) or soak in the Jacuzzi tub while the kids play on the huge, meticulously kept lawn that stretches down to the beach. 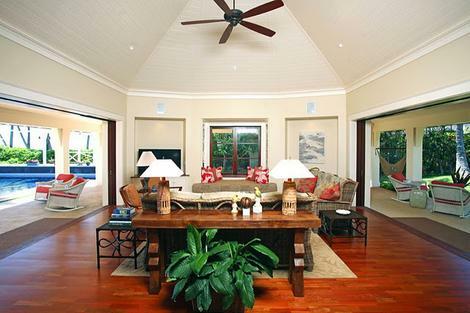 All of the features and vast living space make this luxury Oahu vacation home an entertainer’s dream. 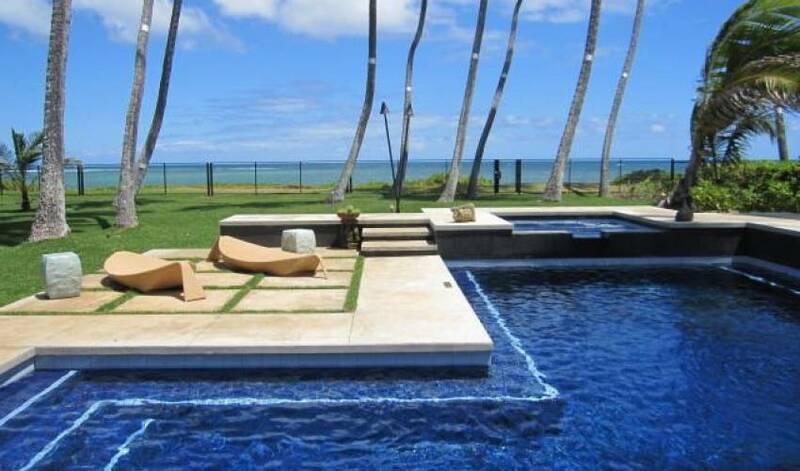 The main house of this luxury Oahu rental contains 6 bedrooms each featuring a private en suite bathroom and a California King bed. The Master suite boasts a walk-out balcony in addition to all of its high-end features. 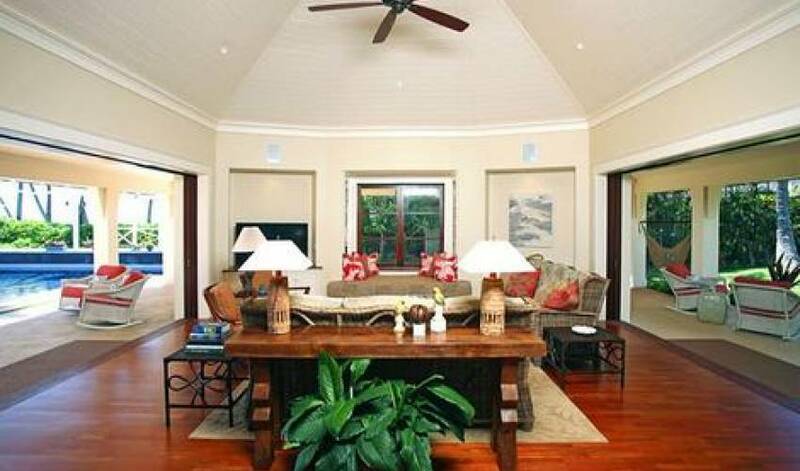 All bedrooms are decorated with contemporary island flair and tasteful wood furniture and accessories. The ohana is home to one more bedroom, each with its own California King and en suite bathroom. 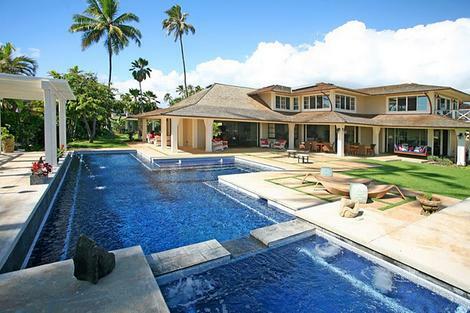 This home features a punee (a Hawaiian version of a daybed) that can sleep an additional two guests, as well as a second punee that can sleep one. 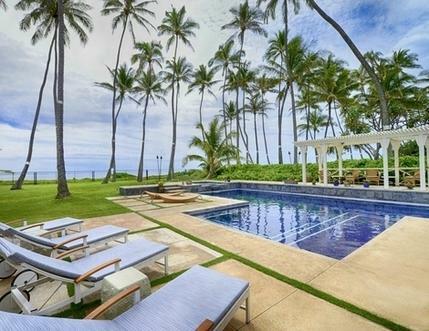 In total, the luxury Oahu beach house can sleep up to 17 guests. 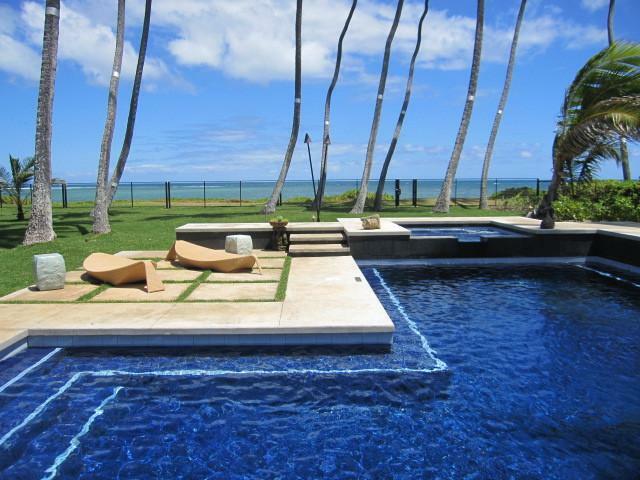 This newly built luxury home rental is perfectly located in the heart of Kahala, one of the most exclusive neighborhoods in Hawaii. 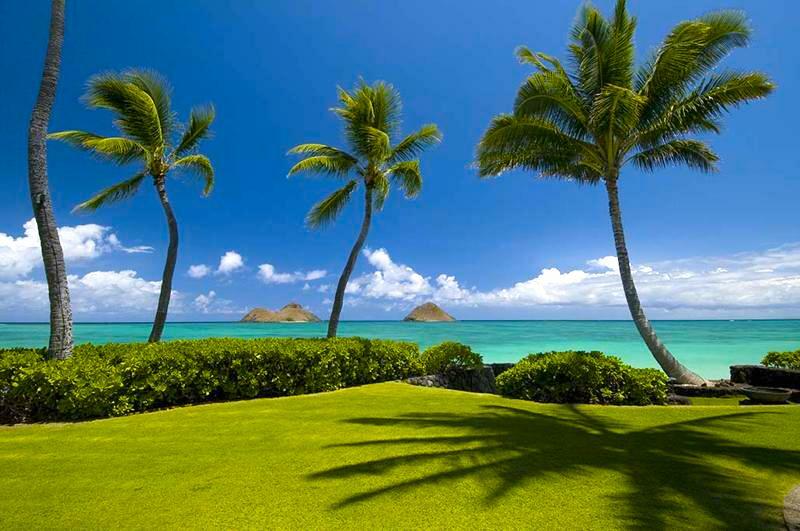 Kahala is home to miles of secluded public beaches that are off the beaten path for most tourists who frequent busier Waikiki – which is only a few minutes away. 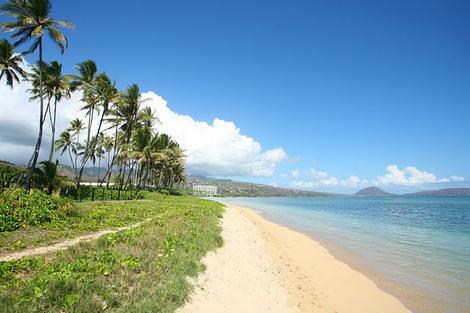 The nearby coral reefs, jungles, and mountains serve as plenty of land to explore and play in. Whether you are interested in snorkeling with the dolphins, riding a horse down a mountain trail, or hang gliding over the hills, you will find plenty of activities and opportunities of a lifetime in this fun area. 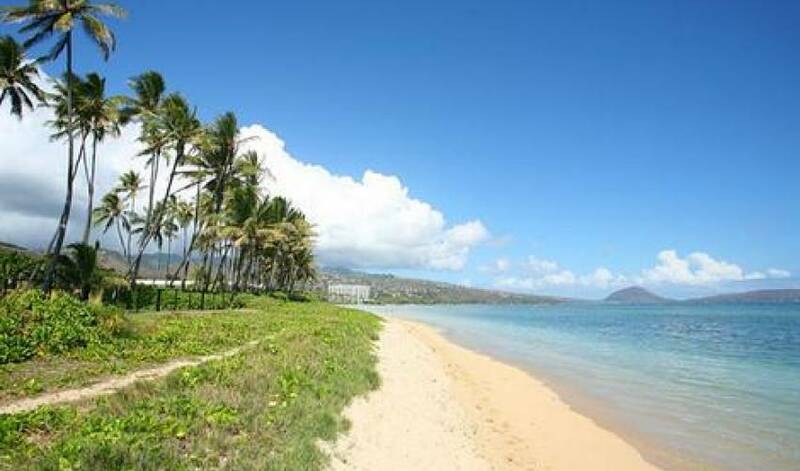 This convenient location cannot be beat for combining privacy and instant beach access with short drives to anything and everything you could possibly want to see on your dream Hawaiian vacation. The house has everything you’d ever desire in a beach house: luxury, space, full amenities, high-end features, air conditioning, heated pool, Jacuzzi… the list goes on and on. 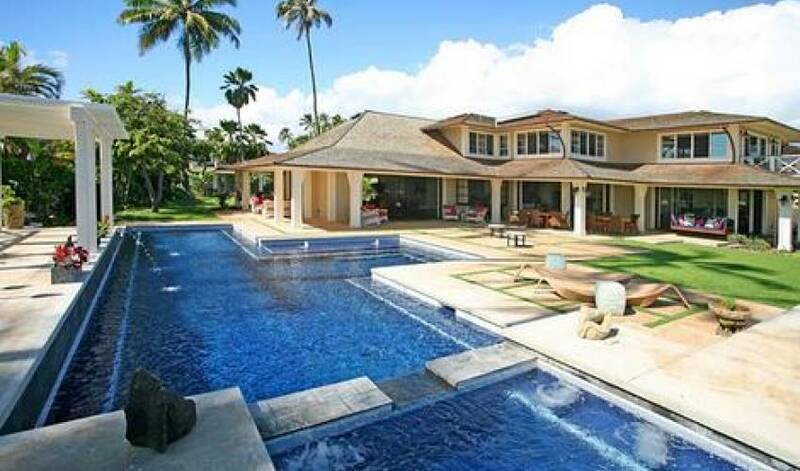 It’s hard to find a home much bigger than this expansive mansion that can easily accommodate so many guests right on the beach in one of the most sought-after neighborhoods in Oahu. 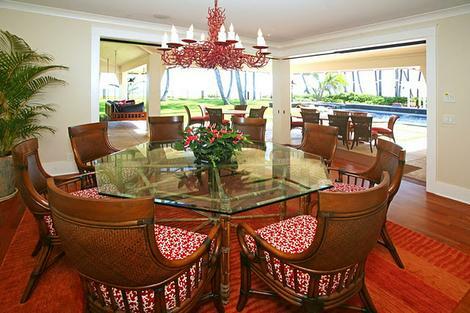 This Kahala luxury rental is a true gem that will prove almost as beautiful and impressive as the lovely Oahu coastline.